Fall is nearly here! That means it’s time for one of my favorite parts of fall- pumpkin flavored food! I never get tired of pumpkin flavored things (I wait year-round for it to be the right season for pumpkin spice lattes), but perhaps my absolute favorite pumpkin flavored food is pumpkin desserts! 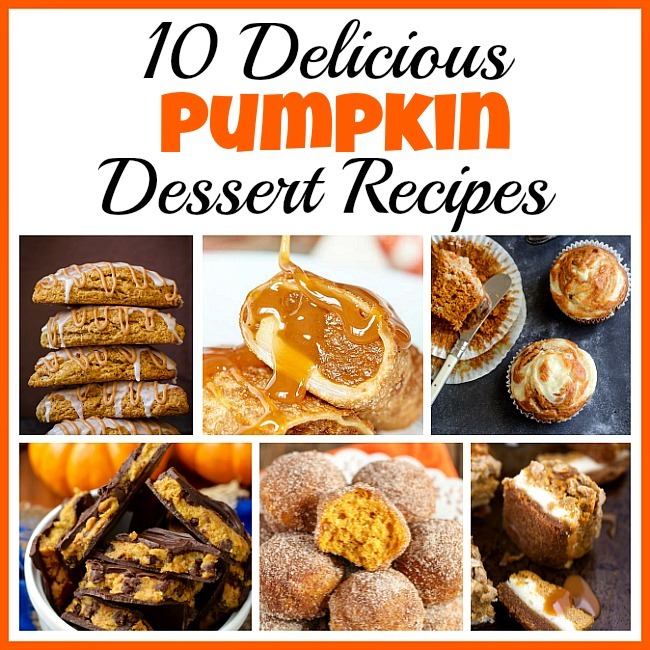 If you love pumpkin things too, then you’ve got to try some of these 10 Delicious Pumpkin Dessert Recipes! Before fall fully hits, I like to buy a lot of canned pumpkin in bulk. Also, if I have the freezer space for all the extras, I like to buy all-purpose flour in bulk, too. 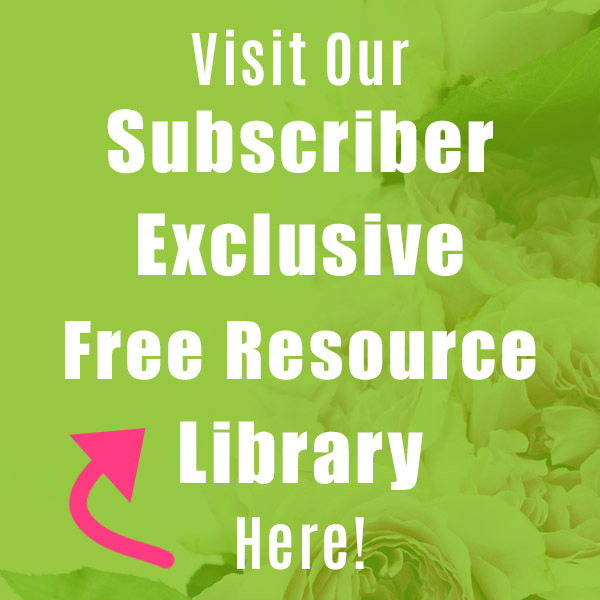 There’s nothing worse than finding a delicious pumpkin recipe and not having enough pumpkin for it! And all the extra flour ensures I have all the flour I’ll need to make yummy treats through fall and winter! 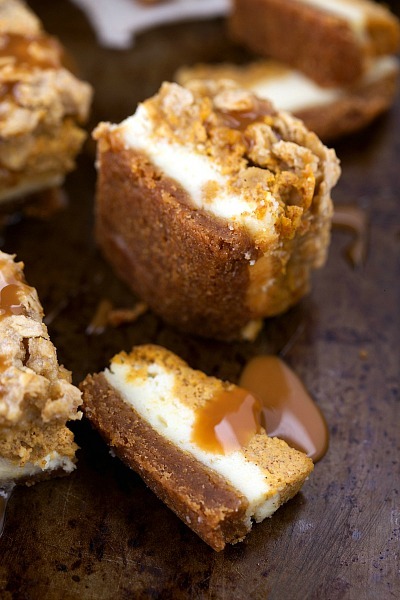 If you’re looking for a scrumptious fall pumpkin dessert, then you definitely have to try Chelsea’s Messy Apron’s pumpkin caramel cheesecake bars with a streusel topping! In the fall, there’s nothing more relaxing (and delicious) then a hot cup of tea and a warm scone. 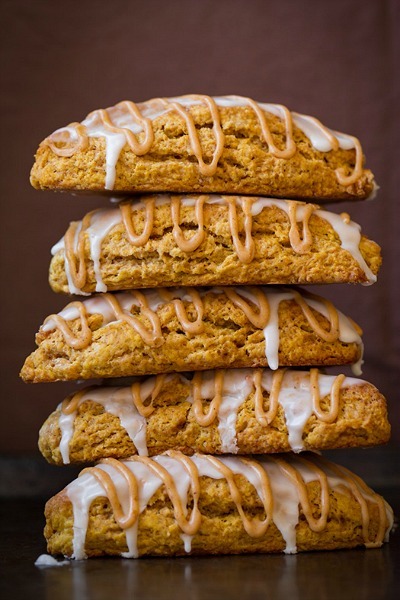 Make your own delicious pumpkin scones (Starbucks copycat) by following Cooking Classy’s recipe! 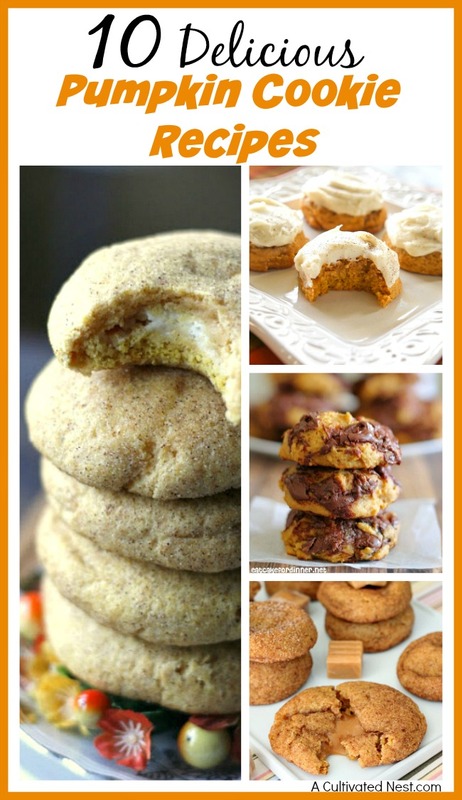 I love Nutella and I love pumpkin, so these are some of my favorite treats! 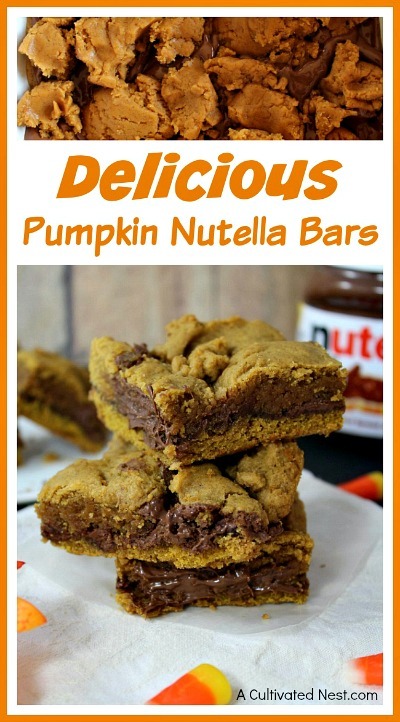 Follow our recipe to make these delicious pumpkin Nutella bars! 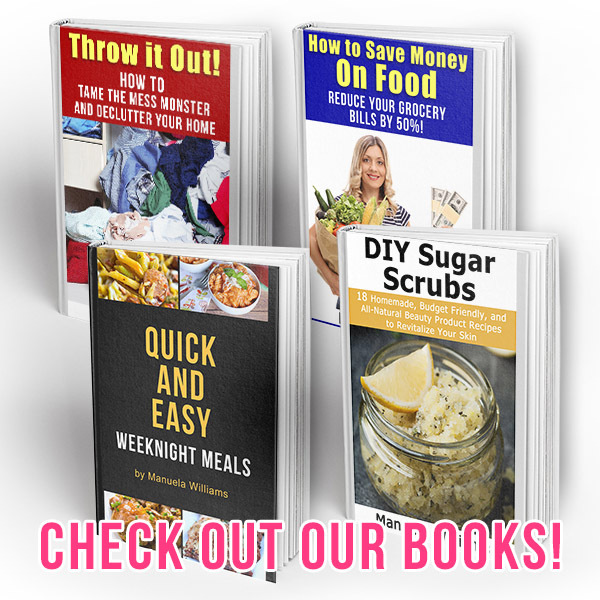 Maybe you’d rather not have to turn on the oven? 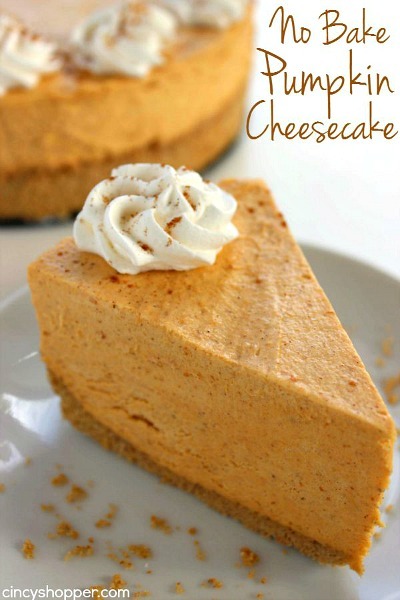 Then the perfect pumpkin dessert for you to try is Cincy Shopper’s no-bake pumpkin cheesecake! 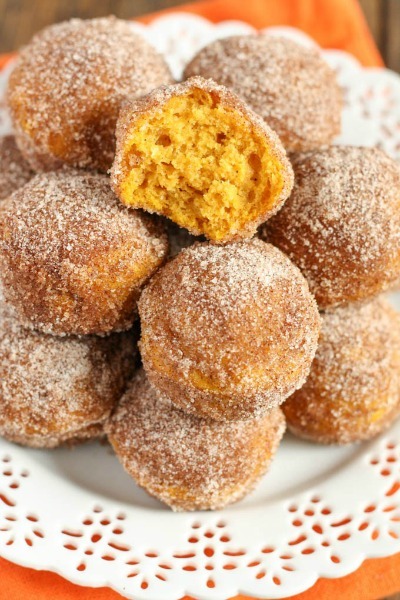 If you want the delicious taste of a donut without all the work of making actual donuts, then you have to make Live Well Bake Often’s baked pumpkin donut holes! 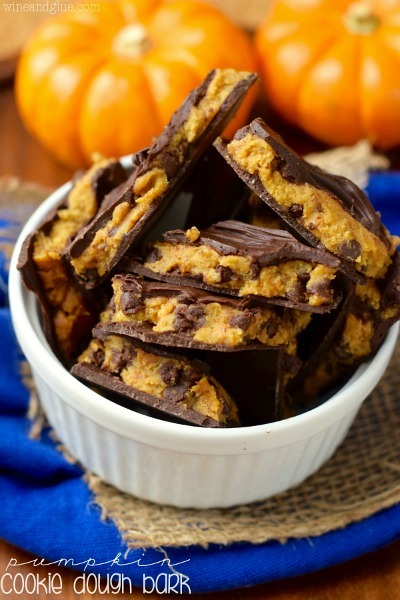 If you love chocolate, another delicious no-bake recipe you have to try is Wine and Glue’s no-bake pumpkin cookie dough bark! Pumpkin and caramel? That’s a delicious combo! 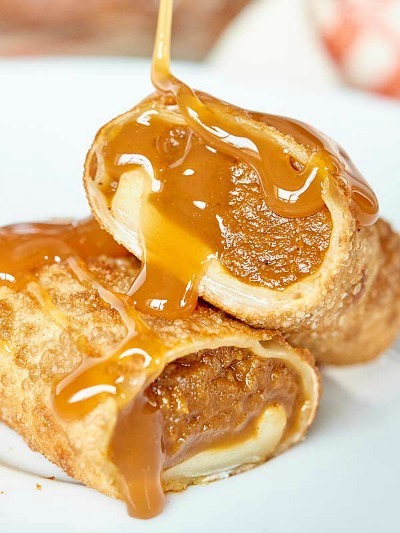 Check out how to make Show Me the Yummy’s pumpkin pie egg rolls! Rich and moist, our maple pumpkin bars are the perfect fall treat! 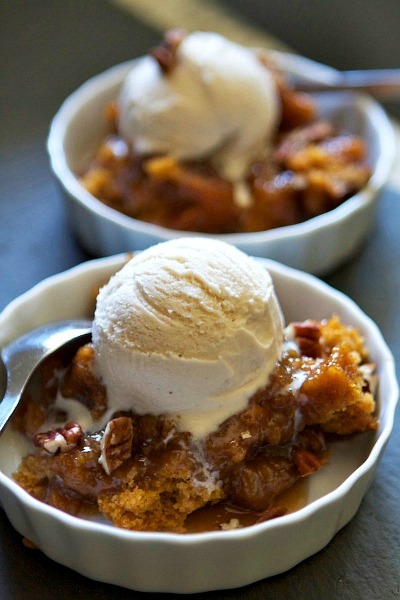 Doesn’t this look so gooey and delicious? If you like traditional chocolate lava cakes, then you have to try Lauren’s Latest’s pumpkin pecan cobbler! 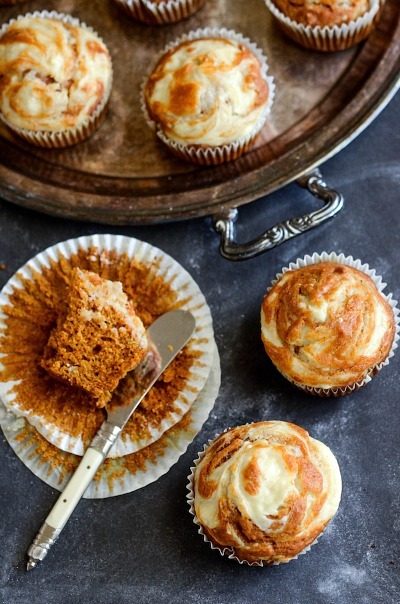 I love the swirl of color (and flavor) in these pumpkin cream cheese swirl muffins! Check out The Novice Chef’s recipe to make your own! I can’t wait for fall! I’m so over the summer and I can’t wait for pumpkins!